Northwick Park Gloucestershire N.A.B. 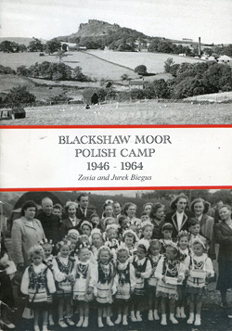 Polish Families camp 1947 to 1970. Penley Polish Hospital no3 North Wales. Iscoyd Park North Wales 1947-1956 Polish Military Hospital no 4. Delamere Park. Northwich Cheshire P.R. C. Polish Family Camp1949-1963 Podington Bedfordshire 1948- 1956 In the early 50s there were 300 Poles (squatting in camp) in the camp. Coombe Park Henley Records from 1953 show that there were 28 Polish Families living on the site which was accepted by the Ministry of Works Penrhos North Wales. RAF aerodrome. PKPR. (Polish demobilisation Corps) Today a Polish retirement home run by Polish Housing Society Ltd.
Elsham Wolds Lincolnshire RAF Camp run by the war office. 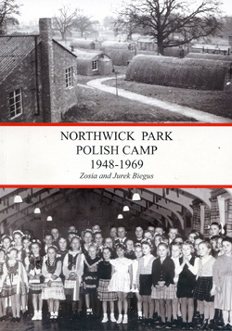 Records from 1953 show that there were 40 Polish Families living on the site which was accepted by the Local Authorities. St.Mawgan N.A.B. Polish dependants hostel. In 1949 there were 103 men, 71 women and 62 Juveniles and children living on the site. Five Oaks, Horsham Records show there were 83 Families still living there in 1953. Southrop Gloucestershire 1947-1950 RAF Southrop was a Royal Air Force station west of the village of Southrop, Gloucestershire during World War II from August 1940 to November 1947 Between 1947 and 1950 It housed Polish families. Hazlemere High Wycombe 1948 P.In 1951 with arrival of 70 Polish families the camp it lost it's military character becoming a hostel for civilians. 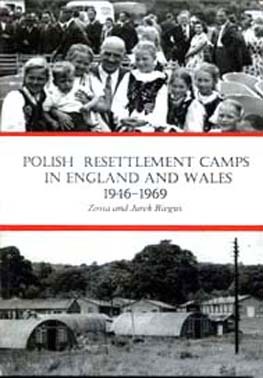 Records from 1953 show that there were 94 Polish Families living on the site which was accepted by the Local Authorities. It closed in 1955/6 Sturgate Airfield Lincoln Polish dependent Hostel. In 1949 there were a 103 men, 71 women, 61 juveniles and children living in the empty airfield buildings. The NAB rejected the camp as a viable Polish housing estate dew to lack of employment. Great Missenden Woodlands Park camp military and families 1956 Strood Park Horsham 33 families living there in 1953 Run by Local Authorities. Hallburn Hostel LongtownCumberland1947---1953/4 in 1952 there were 32 Polish families Weeting Hall Brandon Norfolk 1949 to 1955 47 families in 1953Families. Howberry Park Berks. Wynnstay Wrexham In 1953 here 37 families still living on the site. By 1956 the Council re-housed the residents of the camp absorbing them in to the community. Kelstern Airfield Lincoln Polish dependent Hostel. In 1949 there were 81 men, 124 women and 87 Juveniles and children living in the Hostel. The NAB rejected the camp as a viable Polish housing estate dew to lack of employment.